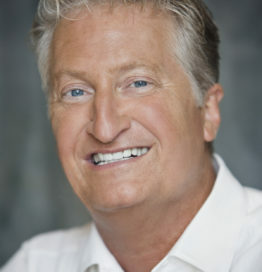 Hailed by a New York Times reporter as “someone who has quietly become one of the most influential people in America,” Andy Andrews is an internationally known speaker and author. Among his New York Times bestsellers are the classic novels, The Traveler’s Gift and The Noticer. Leaders from the world’s top organizations—including four U.S. presidents—regularly seek him out as a trusted resource for unlocking extraordinary results. With a quick glance at his track record, it’s easy to see why. • Companies have more than doubled their results after hiring Andy as a consultant. • The U.S. Special Operations community and those in command of America’s most elite military personnel and intelligence agencies trust Andy for ongoing guidance. • His bestselling books—including his latest release, The Little Things—have been translated into over 40 languages and transformed millions of readers’ lives worldwide. Corporations insist that, “Andy is not a motivational speaker! He is a teacher.” And the story- driven principles he teaches dramatically affect people’s climate, culture…and even revenue. While many speakers will leave your organization feeling inspired for a few days, the evidence of Andy’s guidance remains visible long after he exits the stage. Did you know the past 9 college football national championship teams—Alabama, Clemson, Ohio State, Florida State, Auburn, and Florida—have all used Andy’s books and/or strategies to maximize their performance? As you read earlier, Andy is consistently getting these kinds of results with businesses, teams, non-profit organizations, cities, and leaders…and he’s doing it again and again! Arguably, there is no single person on the planet better at using the power of storytelling to reveal life’s greatest principles for success. The Building Blocks Within You—Stacking Yourself For Success!